A biopic of sorts of renowned sean nós singer Joe Heaney, who passed away in 1984. Director Pat Collins (Silence, Living In A Coded Land) once again approaches the subject matter from a different angle, immersing the viewer in the feel of a life rather than the nuts-and-bolts story. From the opening shot of boats fixed with lanterns bobbing on the night sea, you know you're in for a visual treat: Collins isn't one for dialogue (as his Silence will attest) and lets the images tell the story. 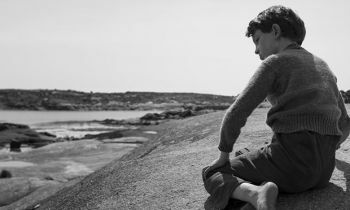 Shot in sumptuous black and white, the director finds beauty in the melancholy as Heaney's early years are explored, giving one a real taste of the simple and hard life in Carna, on the west coast of Ireland, and knowledge is passed down from one generation to the next. Joe’s father, himself a renowned singer and a great influence on his son, teaches him how to fish and to peel a potato. His father’s impact dominates when it comes to singing too, with a young Joe watching his father enrapture a small audience in their home. Those looking for a straight up biopic better look elsewhere. Pat Collins doesn’t do things the obvious way; breaking with form, he thinks nothing of slipping in documentary footage and the odd interview, while a voiceover fills in some the blanks. 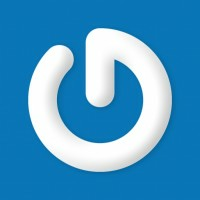 In a unique approach to the music biopic the director is more interested in the song and the emption it invokes than the singer. Admittedly it takes time for the style to worm its way in but once it does it casts a spell. And yet narrative of sorts peeks through once in a while. Heaney moves first to England and then to New York to work as a doorman, but never loses sight of his roots and ventures into the studio to record songs. As Heaney grows from boy to man (Seoighe, O’Chonfhloala, and O’Fatharta play Heaney at certain stages), Collins subtly dots the changes in him and the area: a man appears with a strange device to record his father’s voice, a car speeds along a Connemara empty road. Spoken predominantly in Irish (this will be Ireland’s Foreign Language entry at the Oscars), subtitles oddly disappear when it comes to the music. But it’s an inspired decision: What Collins is after is to take one inside the song, the emotion needed to carry it, and the lack of subtitles during the lengthy songs (Collins just lets the camera roll) urges the viewer to be lost in the melody.